Mathematician Sergey Mergelyan has been the youngest Soviet academician and, in a way, a symbol of a young scientist. “Sergey Nikitovich Mergelyan, was born 19.5.1928 in Simferopol. Soviet mathematician, corresponding member of the USSR Academy of Sciences -AS USSR- (1953), academician of the Armenian SSR Academy of Sciences (AS Armenian SSR) - 1956, the USSR Communist Party membership since 1955”. “S.N. Mergelyan graduated from the Erevan State University - ESU (1947). In 1945-1957 he was working at the ESU, in 1954-1958 and 1964-1968 at the M.V. Lomonosov Moscow State University (MSU). In 1956-1960 he held position of the founding director of the Erevan Scientific Research Institute of Mathematical Machinery (ErSRIMM) and, simultaneously, the director of the Computer Centre of the AS Armenian SSR. In1961-1971 he was working at the Mathematical Institute AS USSR, since 1971 held the office of the AS Armenian SSR vice-president”. “Main contribution: researches on the complex variable functions theory, approximation theory, potential and harmonic functions theory. In 1952 he was awarded the USSR highest premium – the State Premium (then “Stalin Premium”)”. Source/quotation: “The Big Soviet Encyclopedia” . Although mathematician Sergey Mergelyan was not computer designer, it was he who made decisive impact on the beginning and development of Armenian computer science and engineering. He made outstanding contribution in Armenian science, as well as in development of the Soviet computational mathematics in general. In the post-war years level of Armenian science essentially increased. It makes especial impression if one remembers the tragic hardships experienced by Armenian people less then fifteen years before Mergelyan's birth. 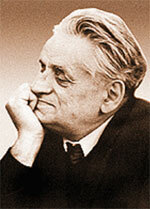 Mergelyan was one of the most famous Soviet Armenian mathematicians, however, he was born and spent childhood in Russia. He studied at the senior school and graduated from the university in Armenia, but a great deal of his professional life was also connected with Russia. He worked many years in Moscow, here he received his doctorate, became a member of the USSR Academy of Sciences and received most of his honours. Of course, one shouldn't forget that the USSR was the common state for all its folks and republics. Therefore, nobody considered changing Moscow in Moscow for Erevan (and vice versa) as “going abroad”. Many of his friends and colleagues lived in Moscow; here he met his wife and, despite impressive “geography” of their following common life, they both have been buried here. It would be more correct to say that work of a scientist of such dimension is not limited with some institute's premises or even with some republican borders – it belongs to the whole scientific world. Sergey Mergelyan was born on 19.05.1928 in Simferopol (Crimea, Russia) into the family of Nikita Ivanovich Mergelov (formerly private entrepreneur, of Armenian origin) and his russian wife Ludmila Ivanovna Vyrodova, before revolution her father was an executive director of the “Azov-Black Sea bank”. In 1936 Mergelov, the father, was engaged in construction of a factory (paper-mill) in town of Yelets (West of Russian Federation), however, was (false) accused and sent with his family into exile to Siberian settlement Narym. Luckily, with some efforts of Ludmila Ivanovna, the case was soon cleared: As he was not guilty of anything, he was completely rehabilitated by the directive the USSR attorney general himself and soon the family settled in the town of Kerch in Crimea. Sergey entered the secondary school in Kerch, but in 1941, with the beginning of the war (WWII) and the advance of Nazi armies in the South, the Mergelovs moved to Erevan, Armenia. There the father was -again- participating in construction of a paper factory. Since young years Sergey was distinguished with attractive appearance and very good voice. However, outstanding mathematical talents were his most remarkable traits. In 1943 Armenian republican mathematical and physical competition was held in Erevan; Sergey won the first place at it. He finished school with distinction at the age of 16 (almost two years earlier as his schoolmates). Sergey was really lucky, his “early talents” have not “faded”. Grant Rostomyan – teacher of mathematics at Erevan school, paid attention to his unusual abilities and not only predicted him “a great future” but also did his best to make it real. He was taking special care of the able pupil and, beside the interest to mathematics, cultivated in him concentration abilities and industriousness. Good scientist is a hardworking one. Luckily Sergey himself was very much interested in learning, he founded the most difficult problems and not only solved them but also himself studied and analyzed related theory. When he was finishing the 9th form he simultaneously passed exams for the 10th one and already in the same 1944th year entered the faculty of physics and mathematics of the Erevan State University (ESU). At the first course Mergelyan studied only one week and then was transferred to the second one (without passing additional exams). Soon after, the university professor Artashes Liparitovich Shaginyan noticed Sergey's achievements and invited him to join his seminar. Sergey prepared and made his first scientific publication there. As a student Sergey was not only learning but also began teaching. He led the mathematical society at the Erevan Palace of Pioneers (city children club) being absolutely free at mathematical phantasies. He himself composed complicated problems “with tricks”, organised competitions for solving the most difficult problems, made numerous collective mathematical games, etc. In 1946 Sergey (Mergelov) “as usual” successfully graduated after three years instead of “standard” five years of learning. He restored original variant of his family name and received diploma already as Sergey Nikitovich Mergelyan. In 1946, directly after graduation, 19-years old graduate Mergelyan entered post-graduate department at the V.A. Steklov Moscow Mathematical Institute of the USSR Academy of Sciences (AS USSR). All necessary formalities were settled very quickly thank to assistance of the President of Armenian Republican Academy of Sciences – Viktor Amasaspovich Ambartsumyan. Sergey Mergelyan was really lucky with his scientific supervisor. That was famous mathematician academician Mstislav Vsevolodovich Keldysh – later, president of the AS USSR. Within eighteen months Mergelyan passed all necessary exams for the Candidate of Sciences degree, and prepared his dissertation thesis (usually post-graduate study lasts three years). The basis of his work was formed of the article which he had written (and published) in Erevan and of two later works written in Moscow. In 1949 Sergey defended his dissertation with tremendous success. Although he presented the work as the candidate of sciences dissertation, all three his official opponents (M.A. Lavrentev, A.O. Gelfand and S.M. Nikolskiy) applied to the Scientific Council of the university asking to award him a doctorate in mathematics without receiving the (“intermediate”) candidate degree. As the scientific level of Mergelyan's dissertation was very high, and its research part was focused on absolutely unknown field, request of the opponents was granted and Sergey –at the age of 21- became the USSR youngest doctor of mathematics. Even the Nobel Prize laureate Soviet mathematician and cyberneticist academician Leonid Kantorovich received his doctorate in mathematics at the age of 23. In 1949 Mergelyan also joined regular seminar led by academician Mikail Lavrentyev at the V.A. Steklov Mathematical Institute. That period of time was very stressful for Mergelyan, his working in Moscow did not mean that he left Erevan completely. Even more, in 1950 as a sign of respect to their compatriot (an evidence of continuing connections) administration of Erevan presented the 22 years old scientist new two bedrooms flat. That was an extraordinary event for the time of the war damaged country restoration. The field of his scientific interests included approximate demonstration of given functions through simpler ones. Already P.L. Chebyshev (famous mathematician of the XIX century) formulated this problem in the context of the theory of mechanisms. Later it was developed by A.A. Markov (the elder) and, in our time, S.N. Bernshtein, M.A. Lavrentyev and M.V. Keldysh. However, the approximation theory was not developed in the field of complex numbers. Sergey Mergelyan started systematic researches on it and subsequently obtained brilliant results. In 1951-1953 he published some significant works: “Some Aspects of the constructive Theory of Functions” (Trudy Matematicheskogo Instituta AS USSR v. 3 1951), “Uniform Approximations of the Functions of Complex Variable” (Achievements of Mathematical Sciences /Uspekhi Matematicheskih Nauk/ v 8, issue 2 1952), “On completeness of Systems of Analytical Functions” (Achievements of Mathematical Sciences /Uspekhi Matematicheskih Nauk/ v 7, issue 4 1953. Mergelyan also proposed his solution of the problem of continuous functions approximation with polynomials (1951). An additional proof of the importance of his work consists in the “Stalin Premium (II grade)” and the title of “Laureate” given him in 1952. The premium was a “complex”, which also included “financial part” of 100 000 rubles. That was comparable with a yearly salary of a university professor at that time. Academician A.N. Nesmeyanov, then the president of the AS USSR and the rector of the Lomonosov Moscow State University (MSU), specially emphasized in his comments that Mergelyan's researches had “Special importance for implementation of the developed in them methods for organisation of work with big automatic electronic computers” (of course, there were no small computers at that time). 23.10.1953 Sergey Mergelyan was elected as a corresponding member of the AS USSR at the Department of Physical and Mathematical Sciences (as mathematician), and in 1954 he was appointed as the professor at the faculty of mechanics and mathematics of the MSU. He was also given a personal flat in new block of flats built specially for the university collaborators, quite near his faculty. Laying emphasize on significance of the “flat problem” shouldn't be surprising. Many of the Soviet towns still bore traces of war destruction and the bigger, quickly growing cities were “overcrowded” (in a state near to housing crisis). Therefore, from the point of common living conditions, a new personal flat as a “present” was comparable with a state award (if not better). The next three years of the 26-years old academician were more than “tightly stuffed” with the most different events. Thus, only in 1955 he joined the USSR Communist Party (what was very important event), unfortunately lost his father, and met his future wife Lida Kulakova (Lidia Vasilyevna Kulakova). In 1956 he published new works, “Weighted Approximations with Polynomials” (Achievements of Mathematical Sciences /Uspekhi Matematicheskih Nauk/ vol. 11, issue 5 1956) and “Harmonic Approximation and Approximate Solution of the Cauchy Problem for Laplace Equation” (ibid, v 11, issue 5 pp. 3-26). In the same year he lost his mother and married his fiancee Lida Kulakova. Luckily Sergey was very attractive and friendly man and always had good friends. That is why his wedding was very festive and joyful; the party itself was arranged with common help of his friends and relatives and celebrated at the large country-house (dacha) of academician Andronik Gevondovich Iosifyan – legendary founding-director of the Moscow All-Union Scientific Research Institute of Electromechanics (AUSRIE). One more, rather unexpected, episode is also an evidence of Sergey's “multi-talent” nature. Mergelyan always possessed very good voice and was fond of music and singing. Once an old professor of music, who himself had studied in Italy, even recommended Sergey to professionally study vocality and became an opera singer. Although the world-famous young mathematician seemingly did not follow his advice, in the same 1956 he made one more surprise to his wife, friends and family with graduating from vocal department of Moscow conservatory. Together with representative Soviet scientific delegations Mergelyan visited many countries and made reports at numerous conferences. He had been in the East Europe, India, Italy and Australia. Great impressions he received in India at special reception of honour. President Jawaharlal Nehru personally welcomed the delegation and paid special attention to the young “Russian mathematician”. 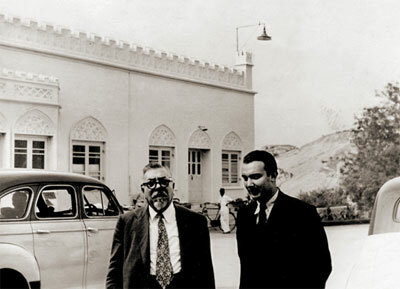 In India Mergelyan also spent a short time with Norbert Wiener: It happened in the picturesque park of the Osmania University in Hyderabad – one of the oldest and biggest in South India. Wiener said then that he had read the articles written by Mergelyan and “admired his work”. He has been a symbol of a young scientist in former USSR. Indira Gandhi, among other world famous persons, has been a personal friend of Mergelyan from early 1950s. In 1978, after her official visit to Moscow, Gandhi had also a private visit to Yerevan just as a guest of Mergelyan. It was not a mere coincidence that academician A.N. Nesmeyanov connected Mergelyan's name with computers and computations. That time was “the dawn of electronic computers” and naturally talented and active young scientist could not stay apart form such progressive development. In June 1956, the Presidium of the AS of Armenian Soviet Republic set forth an initiative which was officially approved and supported by the USSR Government. According to the governmental decision new Erevan Scientific Research Institute of Mathematical Machines (ErSRIMM) was founded in the capital of Soviet Armenia. Sergey Mergelyan played leading role in its creation and also became its founding-director. In reality the young scientist never thought of himself as an administrator but the Armenian Academy insisted. In the same 1956 Mergelyan was also elected as a member of the AS Armenia. Establishing of a big scientific research centre (of the state importance) naturally was not done by a single mathematician-enthusiast. A large team – a scientific and engineering task-force was working on the project. In was also intensively supported by academician V.A. Ambartsumian – the president of AS Armenia. Andranik Gevondovich Iosifyan of Moscow made the most important organisational contribution. A.G. Iosifyan himself began his scientific career in 1930, at the Moscow All-Union Electrotechnical Institute (AEI) – that time one of the Europe most modern and advanced electrotechnical research centers. It had been founded and headed by academician Karl Adolfovich Krug – outstanding scientist-electrician. The institute had perfect infrastructure, one could say almost optimal, and concentrated on its premises practically everything necessary for efficient work; K.A. Krug even built an experimental electrotechnical plant there. In 1941, at the first months of the war A.G. Iosifyan himself founded “his own” (later most powerful) institute of electromechanics (AUSRIE) to develop and produce special equipment for army needs. There is no need to say that Iosifyan took the AEI structure as the model. As he was very influential “elder friend” and supporter of Mergelyan, no wander that the project of new institute in Erevan basically repeated -modernized- Krug's principles (complete cycle «from abstract ideas and scientific fundamentals to practical implementation “in metal”» at the same site). Of course, development of such institute as ErSRIMM was the matter of state interests and the “mighty director of mighty scientific centre” – Andronik Iosifyan with his “born wisdom” and very rich experience was a perfect instructor. However, 27 years old Mergelyan (with minimal knowledge on management) was by no means a mere “spectator”, waiting for somebody to build him an institute. Quite contrary, from the very beginning the “young theoretician”, who had but few (if any at all) ideas on “production organisation”, established so high scientific level and so quickly managed to form an advanced and productive scientific team that the ErSRIMM soon became enormously popular (not only in academic circles) and from then until now is famous as “Mergelyan's institute”. Notably, this name emerged not from authorities but from young scientists of the institute themselves. Unfortunately, at present the name and “former glory” is the biggest part of what remained from the earlier brilliant scientific centre. Besides Andronik Iosifyan of Moscow, famous Erevan scientists Artashes Shaginyan and Fadey Sarkisyan also made significant contribution to establishing of the new institute, or rather – new scientific field in Armenia. Besides the said, creation of the institute was closely connected with development of computer M-3 in Moscow. It was one of the first Soviet digital electronic computers and the first one in Armenia. Technical project of M-3 was completed in 1953, at the Power Institute AS USSR (scientific research one) on the initiative and under scientific guidance of Moscow academician Isaak Semenovich Bruk. It was done by the team of (very) young scientists and engineers – graduates from the Moscow Power Engineering Institute (technical university) – who were working at his laboratory of electrical systems; most of those young specialists (of the same age as Mergelyan) later themselves became leading Soviet computer designers and scientists (Nikolay Yakovlevich Matyukhin, Alexander Zalkind, V. Belynskiy and others). M-3 was relatively small universal digital computer for scientific calculations. It was widely used for integrating common differential equations and equations in partial derivatives (linear and non-linear), solving of systems of linear equations with many unknowns, solving of algebraic and transcendental equations, etc. M-3 was a good computer for its time. However, as it was a pure “improvisation” not made according to any institute's plan; the project received no financial support and its future was not clear. Nevertheless, it was unexpectedly “saved” by academician V.A. Ambartsumian. He arrived to Moscow in search for a project documentation of some advanced new computer, to assemble it in Erevan at new ErSRIMM. With this problem he addressed to his old acquaintance academician A.G. Iosifyan. Iosifyan in his turn addressed Bruk, whom he knew personally. Besides the wish to help the old friend, Iosifyan himself was interested in new computers for his own institute. The third one to ask for computer was academician Sergey Korolev – leading designer of the first Soviet spaceships and satellites. Of course, he was also “inspired” by “omnipresent” Iosifyan. Meeting of the “big three” with I.S. Bruk played decisive role in “biography” of M-3. In 1956 experimental plant of Iosifyan's institute produced and tested three computers (under supervision of Bruk's young designers). The first one stayed at Iosifyan's institute, the second went to Korolev's space-centre and the third one traveled off to Erevan. In 1960, ErSRIMM produced digital electronic computer “Razdan” – the first Armenian computer and the first semiconductor computer in the USSR. Its design was based on technical documentation for M-3; the computer was assembled with active assistance of A.G. Josifyan's institute (Moscow AUSRIE). Thus, M-3 played a notable role in initial period of computer development in Armenina. Significant contribution was also made by G.G. Melik-Pashaev – the scientist from ErSRIMM who obtained solid experience at computers when he was participating in testing and working with M-3 in Moscow, at the Iosifyan's AUSRIE. When the first computers were received in Erevan, the work of the “Mergelyan's Institute” got running “at full speed”. Already in 1957 Mergelyan himself founded, and headed, (joint) computer centre of the Academy of Sciences Armenia and of the Erevan State University. Obvious success inspirited the young scientist. Mergelyan was always very sincere person. He was also both broad minded and patriotic simultaneously. One should understand it correctly: during almost three thousand years of its history the state of Armenia, as well as its people, suffered uncountable invasions, occupations, oppressions, other miseries, etc. Yet, contrarily to all misfortunes, armenians still exist both as state and folk. No wonder, that it's a natural thing for every Armenian to respect and try to do possible help to the land of his ancestors. At the same time armenians are very loyal citizens in every country where they live (and armenians live everywhere). So, that should be remembered for correct evaluation of motives moving people in some situations. Although Mergelyan was sincerely interested in continuing his prosperous scientific work in Moscow and, of course, in maintaining his friendly and social connections there, he let to persuade himself to stay in Erevan, with its “just beginning” computer science and generally “more modest scientific dimensions”. The biggest influence on his decision was that of academician Ambartsumian (then the president of the AS Armenia), who also declared him possibility to be the leader in this new scientific field (in Armenian republic) and to freely realise all his scientific ideas, which the young mathematician always had “a million”. Naturally that was very attractive perspective for a young man in the beginning of his professional career. Armenians are intellectual folk and Armenia never experienced lack of talented people; scientific growth of the Soviet Armenia was constantly increasing. However, the problems of daily routine and practice are usually far from “romantic pictures”. 30 years old Mergelyan was “born as a scientist” in Moscow and its “dimensions of scientific life” was his natural accustomed environment, if one can say so. Here in Erevan everything was different, “smaller” and the institute itself was the republic's firstborn in the field of computing and cybernetics that time. In a sense he had to start the work from the very beginning. In spite of all that, within relatively short time scientific level of the institute became comparable with same of many similar organisations of Moscow. ErSRIMM had departments for designing computer hard and software, including development of technological equipment. As mentioned above, the experimental production was also organised at the institute, including production shops for making pieces of hardware, including computer units and the power supply sources. These production shops were later integrated into “experimental production department” and still later it was re-organised into the Experimental Plant of ErSRIMM. To do justice for A.G. Iosifyan, his “invisible hand” was clearly seen there. Rapidly increasing amount of work left no possibility for Mergelyan to share his time between Erevan and Moscow; in 1958 he left his position at the MSU and soon after stopped regular visits to mathematical seminar of academician Lavrentiev. However, he did not break scientific connections with Moscow and in 1959 he became a member of the first, and very famous, Scientific Council on the Complex Problem “Cybernetics”. That was legendary All-Union Council established by academician and admiral Axel Berg, which became the starting point of the official Soviet researches in the field of cybernetics. At the same time Sergey Mergelyan published one more famous work, “Approximations of the functions of complex variable”, in the jubilee collection of works “Forty Years of Mathematics in the USSR, 1917-1957.” (M. Vol.1 pp. 383-398). “Mergelyan's institute” was developing very intensively. Soon computer “RAZDAN” was modified and the new machine “RAZDAN-2” was broadly used in scientific researches and in producing industry. In 1965 the next modification – “RAZDAN-3” was put into operation. Computation complex system “Marshrut-1” for automated booking of railway tickets, produced at the ErSRIMM, was one of “RAZDAN-3” implementations. This system was also used many years at some railway stations of Moscow. The group of scientists and designers of “Marshrut-1” was awarded Armenia's state premiums. In 1960-1970s various models of popular new computer family NAIRI were produced. There were: NAIRI-1, NAIRI-2, NAIRI-3, NAIRI-3.1, NAIRI-3.2, NAIRI-3.3, NAIRI-4, NAIRI-4.1. All these machines were designed in Erevan. 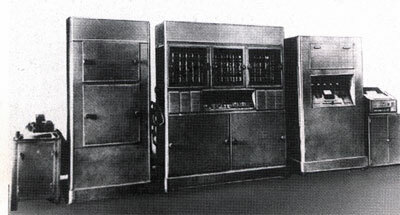 Computer NAIRI was called “Computer for engineering calculations”. It was intended for solving various scientific, engineering and economical problems. Main advantages of NAIRI family were: friendly interface, what enabled communication (with the computer) in a language similar to the common mathematical one, and the principles of microprogramming which were widely used in it. Already in the 1980s NAIRI family was extended with multicomputer and multiprocessor complexes NAIRI-4B, NAIRI-4B-S and “KOVER”. They were compatible on the software level with famous computers PDP (PDP-11/40, PDP-11/44) of DEC Corporation. Institute ErSRIMM was awarded the USSR State Premium for design and realisation of the computer family NAIRI. In the 1970-1980s the institute activiely participated in -all-union- projects on development of “medium computers” part of the ES Computers series (ЕS-1030, ЕS-1045, ЕS-1046) and of multicomputer and multiprocessor complexes on their basis. Besides that, special modification of serial computer ES-1030 was produced for the USSR Ministry of Defense needs. This machine had specially made system of instructions. Generally speaking, ErSRIMM grew over the boarders of an ordinary republican scientific organisation and became one of the leading Soviet institutes in the field of computers, computations and automatic control/management systems. Both the institute, as an organisation, and many of its collaborators personally many times were awarded state premiums and orders of the USSR and of Armenian Republic. In 1992, the ErSRIMM departments which were developing global Automatic Control Systems (ACS) were transformed into the Erevan Scientific Research Institute of ACS (ErSRIACS). Observing scientific history of ErSRIMM during its establishing period, one can clearly see that the “most of the best” of the institute, was created, done and achieved due to the ideas or personal leadership of Sergey Mergelyan. 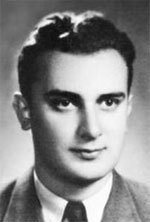 In 1960 he passed his directorial position at the ErSRIMM to Faddey Sarkisyan, and from 1961 resumed his work at the Moscow Mathematical Institute of the AS USSR. Here he began with researches on the problem of approximation of continuous functions, satisfying conditions of tangential property, for arbitrary sets (1962) and on solution of Bernstein's approximation problem (1963). In the same year he was appointed (it was confirmed by elections) as the vice secretary of the AS USSR; academician N.N. Bogolyubov was the secretary. In 1964 Mergelyan became the head of the department of complex analysis at the Mathematical Institute (this position he held until 2002 !) and in the same 1964 he was “restored” at his professorial position at the M.V. Lomonosov MSU faculty of mechanics and mathematics. He published one more general work: N.N. Bogolyubov, S.N. Mergelyan “The Soviet Mathematical School” (1967 pp. 64). In 1968 he left his professor's position and was only engaged in pure science. One of his notable works of that period was “The Theory of Functions of Complex Variable”, published by the periodical “The History of National Mathematics” (vol. 4, book 1, pp. 112-178). His most interesting scientific report was done at the international mathematical congress in Nice, in 1970. In 1971 Sergey Mergelyan was elected as the vice-president of the AS Armenia. The president of the academy V.A. Ambartsumian insisted that he should again move to Erevan. Unfortunately, that time his professional career entered period of deep crisis. Erevan Academy was much smaller than the AS USSR, in Moscow, however, there was much more “internal politics” in it. Unexpectedly to his friends and colleagues Mergelyan failed to pass the next elections to the presidium of the Academy and had to leave it. He returned to the director's position at the academical computer centre, which he himself had founded, but after five years he had to leave it too. He was criticized for spending much of his working time for “scientific voyages abroad”. It's not clear what is “much” and what is “few” regarding participation in international professional congresses, where, by the way, he did not go on his initiative but was officially invited as a world famous scientist. May be his administrative work was really in poor condition (he was not very good at management), it's difficult to judge after many years gone by. Nevertheless, Mergelyan always brought the newest scientific information from the conferences, what was especially “profitable” for Erevan institutes, which -despite their advanced level- were, let's say so, “not so close to the epicenter of the world scientific life, as the USSR Academy in Moscow”. Speaking about the academy in Moscow (AS USSR), Mergelyan never broke relations with it. Thus, in 1981 he and N.N. Bogolyubov released special scientific review to the 70 years jubilee of Mergelyan's earlier scientific chief M.V. Keldysh, “About Mathematical Works of M.V. Keldysh”. After leaving the computer centre Mergelyan received directorship in, rather provincial, pedagogical university of Kirovakan (after 1992 – Vanadzor) in North Armenia. First he even liked that, in the hope (unfortunately naive one) to transform the traditional educational institute into modern and advanced scientific centre, but the “provincial traditionalism” of the place was too hard to overcome it. Most of his time there was spent for administrative routine and (again) “internal political games”, of what he was really disgusted. Eventually he had to quit the attempts of creation of “scientific oasis” and, in 1986, he returned to Moscow to the V.A. Steklov Mathematical Institute. In the same year his elder son Nikita Mergelyan left Moscow for the USA. That time the “new horizons” seemingly opened in science. Communications became much easier and soon, in 1990, Sergey Mergelyan received invitation from the Brown University (Rhode Island USA) to teach mathematics there, and a year later from the Cornell University. Nevertheless, in the comparison with the Academy of Moscow the latter has won, and in 1993 the Mergelyans (Sergey and Lidia) again returned to Moscow. Unfortunately the “reforms” of the 1990s in the USSR did not bring anything good to its science, and in 1996 the “innerly disappointed” Mergelyans moved to Sacramento, California, to live together with their son Nikita. In the year 2002 his wife Lidia died and was buried in Moscow, at the Novodevichye cemetery10. That was the hardest blow for him and for the son, who finally returned to Moscow soon after. World famous mathematician Sergey Mergelyan, already aged and with poor health, stayed in Los Angeles with the younger son Sergey and his family. The last “high prize” which Mergelyan received in his life was the Armenian national “st. Mesrop Mashtots Medal”11 which was given him (19.05.2008) on the occasion of his 80 years birthday on the decision of the Armenian government. The medal together with the letter from the President of Armenia was brought to him by the consular general of the Armenian embassy to the USA. The last five years of his life he lived next door to his son Sergey in Los Angeles, where he died on the 19 August 2008. Many people, including numerous mathematicians and the former colleagues from the ErSRIMM (some of them also live there) came to his funerals at Glendale, California. Later he was re-buried in Moscow, at the Novodevichye cemetery, beside his mother and wife. “On completeness of Systems of Analytical Functions” (Achievements of Mathematical Sciences /Uspekhi Matematicheskih Nauk/ v 7, issue 4 1953. Y.V. Rogachev “Computer M-3” (Виртуальный компьютерный музей ). B.N. Malinovskiy. History of Computers in Personalities. Kiev KIT 1994. Grigor Apoyan. “An Essay on a Mathematician and not only on him” № 485, 23 July 2006 (http://www.lebed.com/2006/art4664.htm). 1. V.A. 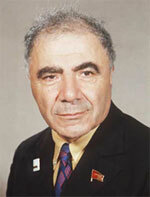 Ambartsumyan – famous Soviet astrophysicist, member of the AS of Armenia (from 1943) and the president of the AS of Armenia (1947-1993), academician of the AS USSR (from 1953), twice awarded honourable title “Hero of the Socialist Labour” (one of the USSR highest civil honours) in 1968 and 1978. 4. Viktor Amazaspovich Ambartsumian – https://en.wikipedia.org/wiki/Victor_Ambartsumian. 7. The USSR joined the WWII (or rather “the war entered the USSR”) on the 22.06.1941. 9. On ES Computers see: http://www.computer-museum.ru/english/unified_system.php. 10. The central cemetery of Moscow, numerous most popular people have been buried there in various times https://en.wikipedia.org/wiki/Novodevichy_Cemetery.